What stops someone from trying something new? Sometimes it is a sense of comfort in a certain way they’ve always done things. Other times it is a concern about what others will think. And for others it’s a lack of understanding about what they can expect. Sometimes what we don’t understand can keep us from trying new things. Even we still hear occasionally from new friends that they don’t know what to expect from a chiropractic visit, so they won’t try it. That’s why we’ve outlined the following information about what you can expect from your first chiropractic visit. The first visit will take longer than following visits, because your chiropractor will conduct a physical assessment/exam based on the reason for your visit. This might include a posture assessment, range of motion test, checking your reflexes, and other orthopaedic and neurologic tests. Depending on the reason for your visit, your chiropractor may also order an x-ray or ultrasound. From your physical exam, your chiropractor will determine your diagnosis. Your chiropractor will talk with you about the diagnosis and propose a treatment plan, ensuring your consent to treatment is informed and your questions are answered. You may receive an adjustment on your first visit, but you may also be asked to make a second appointment so that your chiropractor can fully consider your needs and develop your treatment plan. Most chiropractors use a hands-on treatment called spinal manipulation therapy (SMT). This main form of treatment is also known as an adjustment by chiropractic patients. SMT is a non-invasive procedure consisting of a precise directed movement to help relieve pain and discomfort, and restore range of motion. It is common to feel the pressure from the adjustment and to hear a sound. The sound is the release of air in the joint space. 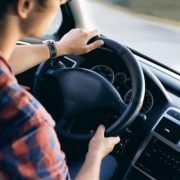 This sound is identical to the sound you hear when you crack your knuckles or your ankles, and research has proven it is not harmful. Other treatments that your chiropractor may propose could include therapeutic ultrasound, laser or shockwave therapy. Your chiropractor may also recommend acupuncture or massage therapy as additional courses of therapy. Your chiropractor will help you understand what side effects, if any, you can expect to experience from SMT or any other form of treatment. 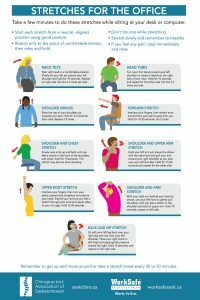 As your condition improves, your chiropractor will also likely recommend exercises or stretches that will help ensure you recover fully and regain full strength/mobility. If you have any questions about anything during your visit or treatment, always ask. You are encouraged to ask as many questions as you need to feel comfortable. The last thing to note about your chiropractic experience is that since there is diversity in how chiropractors treat, you may need to try a different chiropractor who offers a different type of treatment if you don’t feel that a particular chiropractor’s method is helping you. https://saskchiro.ca/wp-content/uploads/2019/02/Chiro-and-patient.jpg 771 1150 Tracy https://saskchiro.ca/wp-content/uploads/2017/09/logo-1030x455.png Tracy2019-02-13 12:30:002019-02-13 12:55:41New to Chiropractic? What you can expect. You go outside, only to find your hands freezing and nose running. You drive to work in the pitch-black of darkness and step outside after a long day on the job, only for it to be dark again. It can be hard to stay motivated and committed to fitness and activity during the winter months. While it can be easy to lose sight of your activity levels until you’ve thawed out a little, research has shown it’s important to exert yourself in the winter months. As the darkness and cold creeps in, your serotonin (or feel-good chemical) levels drop. Consistent exercise and activity is a great way to combat this. Getting up and moving in the winter also boosts immunity by keeping the lymphatic system active. This option embraces the cold. Saskatchewan is full of opportunities to use the frigid weather to your advantage. Skiing, snowboarding, snow shoeing, ice fishing, or skating are all great options to keep you moving outside. You can also check what’s going on locally, as most communities regularly host fun events during the winter months. Being active doesn’t always have to mean sweating it out. Making little, conscious decisions to get up and move can do wonders for your overall health. Take the stairs instead of the elevator. Get out and shovel the snow by hand (using the correct technique, of course). Get up from your desk and take a short walk every few hours. It’s little activities like these that can help break up the monotony your body can feel during the winter months. A great indoor option is to join a gym. Joining a gym doesn’t just have to mean running on a treadmill or lifting weights. A lot of fitness facilities offer a variety of indoor activities and classes for you to participate in. This may include basketball, swimming, squash, yoga, etc. This can be cost prohibitive for many, but still remains a great option. If cost is an issue, look at local community options for recreation and leisure activities. Chiropractors are experts in the diagnosis and treatment of conditions of the musculoskeletal system (the body’s bones, muscles, cartilage, tendons, joints and connective tissue). Visits to your chiropractor can identify potential dysfunction that may be occurring to ensure your bones, muscles, joints and nerves are working together properly, which reduces stress placed on ligaments. Your chiropractor can tell you what type of exercise best suits you before you embark on a new exercise regimen. They can also help work with you to identify areas of weakness to work on and activities you should avoid, to keep yourself strong and healthy. Saskatchewan chiropractors are seeing a rise in head, neck and back pain caused by poor posture from using digital devices.These strains and pains associated with texting and spending time on hand-held devices have been dubbed ”tech neck”. Thanks to our love for technology, this condition isn’t going away anytime soon. Bending your head to look at your phone can put significant pressure on your spine! Your head weighs, on average, 10 pounds when in a neutral position.It’s estimated that for every inch forward that you crane your neck, an additional 10 pounds of pressure is being applied to your spine.That adds up fast and can harm your spine in a number of ways, including neck pain, hunched shoulders and headaches. Try to limit screen time to an hour or two. If you need to be on a device for extended periods of time, fit in a 15-minute break for every hour of screen time. Bring the device up so it is eye level and sit or stand up straight with your chest out and shoulders back. If you must look down, tuck your chin into your neck instead of hanging your head forward. Exercise is a great way to help neutralize the stress caused by poor posture. Try some stretches, or get up and walk around. If you have recurring aches or persistent pain, it is a good idea to consult with a chiropractor.The sooner you address the problem, the more successful you will be in combating tech neck and ensuring strong posture. 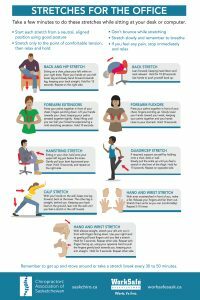 Click here for printable stretches for the office! your day can be disabling. Common types of headaches are tension, migraine and cervicogenic headaches. 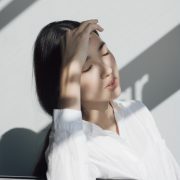 Tension-type headaches commonly present as band-like tension around the head, whereas migraine headaches usually result in pain on one side of the head and are commonly accompanied by nausea and sensitivity to light and sound. With cervicogenic headaches the neck is the source of the problem but the pain is perceived in one or more areas of the head and/or face. The causes of headaches are not always well understood but a family history of headaches, neck stiffness and stress are common factors. A Doctor of Chiropractic (DC) is highly trained to diagnose the causes of back pain and provide hands-on treatment that works. Ignoring back pain doesn’t make it go away. In fact, it can make it worse. It’s important to treat not just the symptoms, but also the cause. Chiropractors are specialists in adjustment of the vertebrae of the spine and other joints of the body. Adjustment helps relieve pain and restore normal movement – so you can enjoy your everyday activities again as quickly as possible. Complications are rare and side effects such as temporary soreness are usually minor. The success of any treatment relies on patients playing an active role. Your chiropractor will recommend a course of treatment specific to you that may include life and work style changes, adjustment and mobilization of the joints, muscle release techniques, muscle stimulation, and therapeutic exercises. For example, you may be advised to make nutritional changes, have an eye examination or use a glare-free computer screen. It’s important to take headaches seriously. Consider consulting a chiropractor if you often have headaches, if you frequently take a pain reliever for your headaches, if your headache pattern changes, or if your headaches are getting worse. Seek prompt attention if your headache is sudden and severe, follows a head injury or is accompanied by fever, stiff neck, weakness, numbness or difficulty speaking. In some cases, treatment may begin on the first visit. Length of treatment will vary for each person, but many patients will begin to feel better after a few visits. Certain types of headaches may require periodic care.